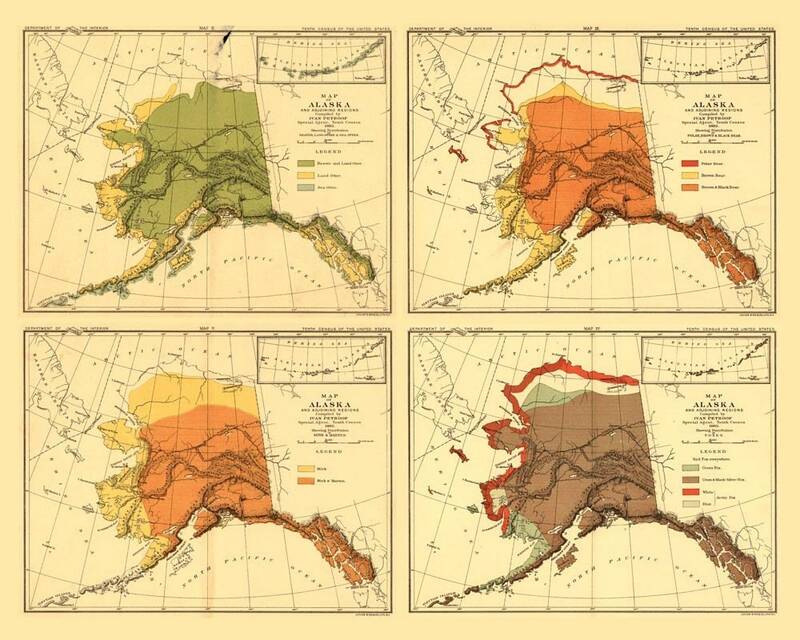 4 smaller maps of Alaska (1882) arranged in a single 16x20inch image. These nice maps show animal species in Alaska. Beavers, Otters, Polar Bears etc. This is a reproduction map.